The Medical Negligence and Serious Injury team of Burnetts has hired two new solicitors into its now fifteen-strong team of specialist lawyers. Kayleigh Nugent (pictured above right) and Alix Walker (above left) join Burnetts as the firm moves into a new era of expansion, having recently moved into prestigious new offices at Milburn House on Dean Street in the city centre. Kayleigh studied law at Northumbria University before qualifying as a solicitor in 2014. She joins Burnetts from McKeag & Co where she specialised in higher value personal injury claims, including accidents at work and on the road, accidents abroad and claims against the Criminal Injuries Compensation Authority. Alix is a law graduate from Luton University with a Masters in Medical Law from Northumbria University. She qualified as a solicitor in 2005. With a history of working in civil litigation including medical negligence, she joins Burnetts from Winn Solicitors where she advised on high value and complex claims resulting from road traffic accidents and accidents at work. Both Kayleigh and Alix have acted for clients who have suffered brain injuries, amputations as well as complex orthopaedic and psychological injuries. 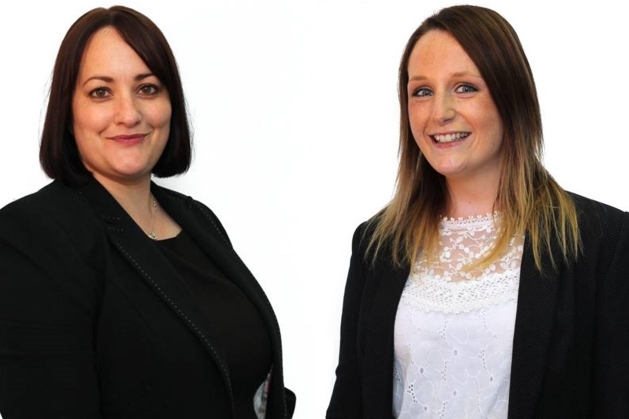 At Burnetts, Alix and Kayleigh work within the Medical Negligence and Serious Injury team representing clients who have suffered injury as a result of medical negligence. Outside of work Alix is a keen traveller and Kayleigh is a member of Gosforth Harriers Running Club. Along with seven other members of the Newcastle team, Kayleigh recently ran the 2016 Great North Run to raise money for the Percy Hedley Foundation, of which Angela Curran is a Trustee. For further information about Burnetts, visit www.burnetts.co.uk/newcastle or call 0191 300 1833.